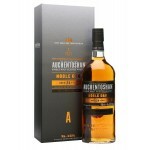 The Auchentoshan 24 years old Noble Oak is an older Lowlands single malt and travel retail releas.. 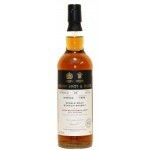 This Aultmore 25 years old 1992 Adelphi Selection is an older Speyside single malt from the Aultm.. 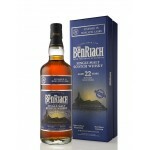 The Benriach 22 years old Moscatel Finish is a Speyside single malt from Benriach. Matured in bou.. 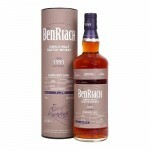 The BenRiach 26 years old 1991 Burgundy Barrique 6898 Single Cask Batch 15 is an older Speyside s.. This 21 years old Benrinnes was bottled in the 2014 Special Release series by Diageo. A rare rele.. The Berry’s Bruichladdich 21 years old 1991 is an Islay single malt bottled by the independent bo.. 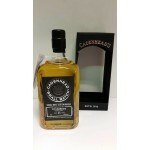 The Berry’s Bunnahabhain 26 years old 1990 is an older Islay single malt bottled by the independe.. 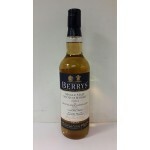 The Berry’s Glen Keith 23 years old 1994 is an older Speyside single malt from the Glen Keith dis.. The Blackadder Raw Cask Statement Bladnoch 24 years old 1992 is an older Lowlands single malt fro.. 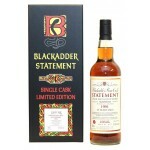 The Blackadder Raw Cask Statement Bladnoch 25 years old 1991 Sherry Cask Finish is an older Lowla.. 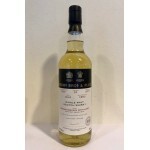 This 22 years old Lowlands single malt comes from the most southern Scottish distillery, Bladnoch.. 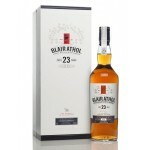 The Blair Athol 23 years old Special Release 2017 is part of the 2017 release of the Diageo Speci.. 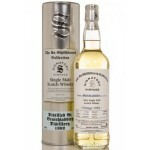 The Bruichladdich 1991 Gordon & Macphail Cask Strength is a 23 year old Islay single malt bot.. The Bruichladdich 22 years old from 1992 is an Islay single malt bottled in the Unchillfiltered s.. 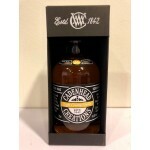 The Cadenhead Creations Light Creamy Vanilla Batch No. 8 is a single cask blended malt. 26 years .. 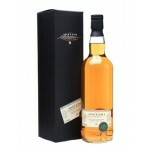 The Cadenhead Small Batch Glen Grant-Glenlivet 24 years old 1992 is an older Speyside single malt.. 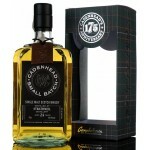 The Cadenhead Small Batch Glen Keith Glenlivet 21 years old 1993 is a Speyside single malt from G.. 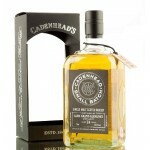 The Cadenhead Small Batch Strathmill 24 years old 1993 is an older Speyside single malt from the .. 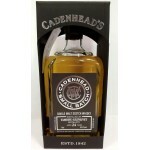 The Cadenhead Small Batch Tamdhu 24 years old 1991 is a Speyside single malt bottled by the indep.. 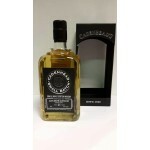 The Cadenhead Small Batch Tullibardine 21 years old 1993 is a Highlands single malt bottled in th..